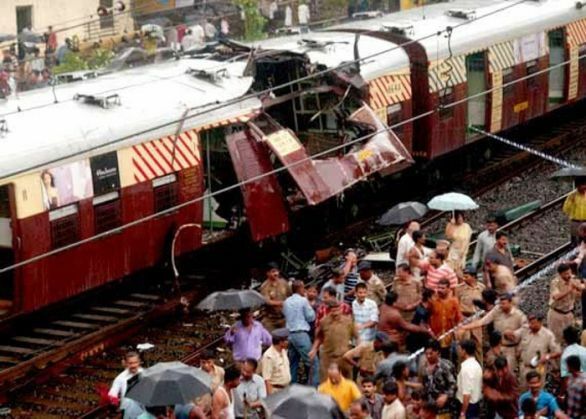 A special Maharashtra Control of Organised Crime Act (MCOCA) court has announced the quantum of punishment for convicts in the 7/11 Mumbai serial train blasts. Five convicts who were convicted planting bombs have been given death sentence. Rest of the 7 convicts have been sentenced to life imprisonment. Earlier this month, after hearing the matter for eight years, the MCOCA court in Mumbai convicted 12 accused in the Mumbai serial train blasts case. One person was acquitted. The serial blasts had occurred on 11 July, 2006 over a period of 11 minutes on suburban trains in Mumbai. The blasts had claimed 188 lives and over 800 people were left injured. Seven RDX bombs had exploded in the first class coaches of Mumbai's suburban trains. The blast occurred between Khar Road-Santacruz, Bandra-Khar Road, Jogeshwari-Mahim Junction, Mira Road- Bhayander, Matunga- Mahim Junction and Borivali.